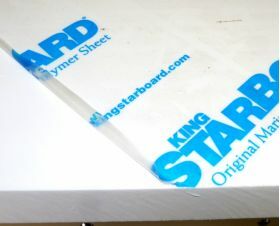 King Starboard Project Panels -- 3 Sq. Ft. -- 12"x36"
Quick ship, perfect cut. Only one issue, need protective plastic on finish side of starboard when cutting and shipping. Had some mars on surface.